Our camp programs reflect Crescent School’s excellence in robotics, athletics, business, leadership and the arts. All Crescent camps are designed in modules of one or two weeks. Campers can sign up for multiple weeks in one program, or mix-and-match programs for a varied camp experience. Scroll down for camp program descriptions. 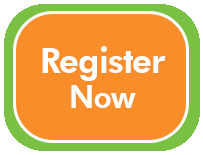 Click here to see Summer Camps program dates. Each camp program will be led by a highly qualified, experienced Head Instructor, who is assisted by instructors and counsellors. Morning Extended Care: 7:45 to 9 a.m. Afternoon Extended Care: 4:00 to 5:30 p.m. Highlights: Discovery camp is perfect place for campers aged 6-7 years who are looking for a fun, exciting and enriching way to spend their summer days. Programming for campers is dynamic, and includes opportunity to explore programming across athletics, the arts, STEM, literacy and environmentalism. Traditional camp activities, combined with innovate learning opportunities, and a “challenge by choice” approach to instruction, encourage campers to develop their growth mindset. By the end of Discovery Camp, our campers will leave with a curiosity for continued learning. Highlights: This co-ed camp offers a range of fun activities that will challenge and thrill campers. Designedto challenge campers, the activities will include escape rooms, art/improv studios, mad science labs, obstacle courses and survival field, requiring campers to use ingenuity and teamwork. Highlights: This co-ed camp is for young people who want to explore, learn and create in the great outdoors. Scavenger hunts, building shelter and fire, and other fun activities will engage campers in learning about our natural habitat and how we can live harmoniously. Campers will learn about the organisms in Crescent’s incredible ravine and how they interact with one another, and about some of the edible and medicinal plants that the First Nations identified. Weather permitting, Friday afternoon will feature a campfire, treats and singing. Highlights: This co-ed camp is for young people who want to explore, learn and create in the great outdoors. Scavenger hunts, building shelter and fire, and other fun activities will engage campers in learning about our natural habitat and how we can live harmoniously. Campers will learn about the organisms in Crescent’s incredible ravine and how they interact with one another, and about some of the edible and medicinal plants that the First Nations identified. Students will create a 3D video of a walk on our ravine, which will be uploaded to create a VR clip. Hours: 9 a.m to 4 p.m. Highlights: This co-ed camp will strengthen campers’ artistic confidence as they explore a variety of art forms. Campers will stretch their imaginations with drawing, painting, printmaking and sculpture design throughout the week. An art showcase will celebrate the campers’ creative achievements for friends and family at the end of the week. Highlights: This co-ed camp engages campers in the basic concepts and processes of architecture. They’ll develop their creativity and imagination as they explore visual thinking, urban and environmental planning, and design, scale and structure. Campers will demonstrate their new skills using drawing, collage and modelling with different materials. Highlights: Learn what makes a skyscraper stand so high, how a suspension bridge works - and more! This co-ed camp allows young people to explore architectural concepts, designs and processes. They’ll showcase their learning by creating their own structure or space using design software. Highlights: This co-ed camp offers young people insight into how to use a camera, how to take the perfect photograph and develop their work digitally. Campers will create a portfolio of images and produce mounted prints to show their growth as a photographer by the end of the week. Campers will use both their own photo-taking device and our DSLR cameras. Highlights: This co-ed camp provides campers an opportunity to strengthen competition skills with topics from the 2019/2020 VEX IQ Challenge. It’s a concentrated week in VEX IQ competition, and campers will also participate in fun activities that focus on transferable skills such as creativity, team-building and collaboration. Highlights: This co-ed camp helps young people increase their robotics skills with an introduction to CAD, Robot C and CNC router skills in a challenge-based setting. Campers will learn simple programming and design and cut a part to attach to their robot. In addition to programming skills, campers will gain experience in collaboration, problem-solving and critical thinking. Highlights: Learn what makes a robot see! Using Robotics, Python, SDK, OpenCV and more, this technical co-ed camp is for young people who have some basic programming knowledge like data structure, variable, if-statement, etc. Mentored by a highly qualified computer science teacher and robotics staff, campers will use Cozmo and Python to explore image processing and develop computer vision projects which can detect certain color/shape. Campers will gain experience in collaboration, problem-solving, debugging and critical thinking. Campers should bring an Android/IOS device. (One will be provided if unavailable). Camper to Staff ratio: 4:1. Highlights: This co-ed camp, led by award-winning junior golf specialists from Golf Performance Coaches, is designed for all ability levels. It focuses on developing golf skills and improving physical literacy through a structured and engaging training environment. The campers will have fun while learning about all aspects of the sport. Players will be grouped by age and ability to maximize player experience with coaches. Campers travel by bus to the Coppinwood Golf Club and return to Crescent for end-of-day group activities. Golf clubs can be provided upon request. Highlights: This co-ed camp offers a varied program of fun physical activities to help young people develop their sports skills. Using Crescent’s superb athletics facilities, campers will enjoy scrimmages and drills in basketball, dodgeball, lacrosse, volleyball, floor hockey and other sports. In addition to skill development, the camp will focus on fun, teamwork and sportsmanship. 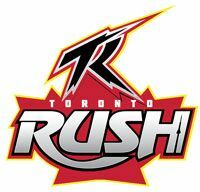 SPECIAL OFFER: The first 20 registrants before April 15th for our Toronto Rush camps will receive a Youth Season Toronto Rush pass. Highlights: This co-ed camp, led by Toronto Rush athletes, is for young people who want to develop their Ultimate Frisbee skills and performance levels. Campers will engage in activities and drills that develop their love of the game while building on a foundation of solid skills. Campers will be grouped by age and ability. The Spirit of the Game – including leadership, sportsmanship, honesty, integrity and gender equity – will be emphasized. Highlights: This co-ed camp, led by elite Toronto Rush athletes, is for Ultimate Frisbee players who want to take their game to the next level. Campers will focus on skill and performance development. Drills and scrimmages will be augmented with debriefs, video analysis, goal-setting and special guest speakers. The Spirit of the Game – including leadership, sportsmanship, honesty, integrity and gender equity – will be emphasized. Highlights: Buy low, sell high! Campers will have a blast learning about investing with a hands-on, co-ed, age-appropriate curriculum, filled with games, lessons and more. Campers will learn about why you should invest, stocks and bonds and how we trade them, other types of investments, how to value investments, basic financial ratios and concepts, and more. All of these concepts will help foster good future decision-making, financial independence and security, and self-confidence. Highlights: Debate Camp has operated academic-enrichment summer camps across Canada since 2002. They empower students with the skills of effective communication and teamwork through debate and public speaking. The goal is to create informed and articulate global citizens in a fun and exciting learning environment. All ability levels are welcome. Registration fees include a daily hot lunch. Supervision until 5 p.m. every day is also available free of additional charge. Please note: this camp is offered at Crescent by Debate Camp Canada. Extended care available: Yes, until 5 p.m.